Treeblock is a multiple DPoS blockchain that combines time sharding and hierarchy sharding to form sharding trees as part of the architecture of the platform. The idea is for it to be able to solve issues of scalability and performance associated with the blockchain. Using the architectures that result, one can get a superior blockchain. The IoT blockchain is designed to serve different applications. Since it is scalable, it serves well even those projects that need high performance. Besides scalability and performance, Treeblock also solves the issue of storage and security. According to the team, the inspiration behind the idea is partly the family – as an entity. Those apps that exist that are designed to help one manage different aspects of their family life will be able to connect and integrate with Treeblock. One of the options the company offers is the Family Enterprise Solution (FES) which allows the phone to work as a node to help build a digitized society. Consequently, one is able to manage their communications during the day, finances, education, travel planning and any other activities they have to do. In a sense, every family is, on the platform, a decentralized unit by its own right. A family that embraces this innovation gets an opportunity to overcome the challenge of distance and stay connected. The AIs on the system are designed to seek permission from the users so as to share data to help improve their service on the users’ requests. Treeblock’s token TREX will be allocated and exchanged for USD when the ICO begins. The initial price for the token will be 1TREX= $0.02. The price is subject to change depending on the market rates after the token gets listed on different exchange platforms. The token will be exchangeable for BTC and ETH at 1BTC = 275 000 TREX or 1 ETH= 20 000 TREX. Note that based on the amount of money raised, the costs of distribution between marketing and R&D are subject to change by a margin of 5%. The TREX tokens will go a long way to deciding who becomes a Block Producer even though you will need votes as well. It is the top participants will get the opportunity. The voting process is easy; one simply sets up their nodes and members do the voting. To help create a good token-economy, the team will divide the chances to become a block producer among thousands of users. Anh Le studied Computer Science in the Vietnam National University, Hanoi. Before coming together with the team to start Treeblock, the man was self-employed, running FunnyFox.com. The Vietnamese company specializes in freelance software outsourcing. It offers services such as web development, search engine optimization, graphic design, and mobile app development. The vice president of Treeblock has a work history in Airline finance. The man is skilled in strategic management, customer relations, system design, and sales. He has worked as a senior business consultant at Mercator Solutions and as a systems business analyst at the Emirates. Ali Kassab is the CEO and Chairman at Centurion & Co. The company is an incubator and accelerator for startups in Fintech and blockchain technologies. They provide backing for these businesses to launch properly through financial investments or advisory services. Centurion has been working to help Fintech and Blockchain technology businesses to design products and models that rely on renewable energy. They help the businesses to leverage blockchain technology to improve their efficiency or to reinvent themselves. You can read about the rest of the team here. Granted that the idea behind the project is noble, the team needs to do a better job of selling it to the people. To start with, the white paper is poorly written, with complex diagrams and few explanations. It requires that one has the technical expertise to understand it. Secondly, the social media platforms for the project are wanting in terms of content (except for Twitter). As though that is not enough, the team has little experience that is directly related to the blockchain. It is a good indicator that they are seeking out advisors who have some experience in the field but the team will need to do more if it will achieve its lofty goals. Treeblock is designed to make dApps simple; to adopt the protocol for different applications. This alone is a strong enough motive as users are looking for connections online. 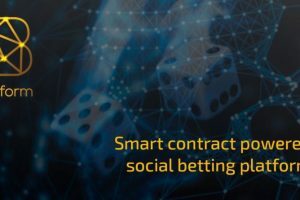 They will be able to connect through the platform through smart contracts, AIs, and smart devices. An excellent selling point for the platform is the ability to free every user to enjoy their life by making their everyday digital activities efficient.